7:00pm - 8:00pm, Club Prior, Prior Lake Library. 3:30pm - 5:00pm, Off-site Library Sponsored Event. 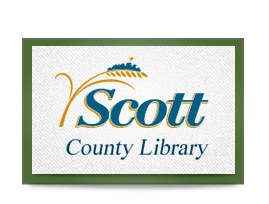 5:30pm - 6:30pm, Scott County Government Center, Off-site Library Sponsored Event. 5:30pm - 6:30pm, Off-site Library Sponsored Event. 5:30pm - 6:30pm, NP 24 Hr. Large Meeting Room, New Prague Library. All Day Event, New Prague Library.